If you forget your username or password, you can retrieve them by clicking “Forgot Username/ Password” under the Members tab of the Navigation. 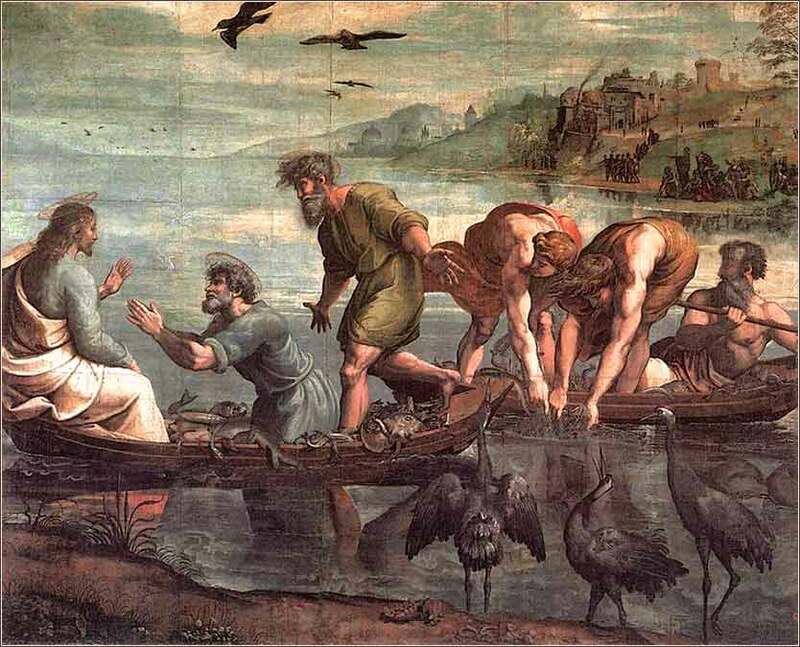 The Miraculous Draught of Fishes by Raphael, ca. 1515. This upbeat song from the opening of the 2102 Junior School Choir Competition (UK) is just what we need to get our engines started for the week ahead. Holy God, thank you for giving me another morning! I am lucky to be alive on your beautiful planet, so full of marvelous things and the beautiful plants and animals and all the people you have created in your image. Fill me with your Holy Spirit, now and all day long, until I go to sleep, because I want to live with you every minute of this day. The time and opportunities I have right now will never return, so help me make the best of it, Lord. That same day Jesus went out of the house and sat beside the sea. And great crowds gathered about him, so that he got into a boat and sat down. And the whole crowd stood on the beach. And he told them many things in parables, saying: “A sower went out to sow. And as he sowed, some seeds fell along the path, and the birds came and devoured them. Other seeds fell on rocky ground, where they did not have much soil, and immediately they sprang up, since they had no depth of soil, but when the sun rose they were scorched. And since they had no root, they withered away. Matthew (as we have mentioned before) tends to group his text by genre rather than by chronology. We see this again in Chapter 13, for the entirety of the chapter could be labelled Parables of Jesus. He actually stops the historical narrative in order to concentrate on a topic. A parable is an extended narrative metaphor, which is to say, it is a long metaphor in the form of a story. Obviously, we are not intended to believe that it is factual; the sower is fictional. We have been prepared for parables by the many metaphors in Matthew previously; take, for example, “you are the salt of the earth” in Matthew 5. And a parable is simply a long metaphor, with one or more characters and some sort of plot or action. Compare Matthew 12 and 13 to Luke 8, and the distinct approach of Matthew to his material becomes apparent. 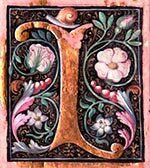 Nearly all of the content of Luke 8 can be found in Matthew, but in different sequence. In Luke, things seem more jumbled together; it seems that Luke tried to set down events more chronologically, stating things in the order in which they happened. uke's approach seems to be more historical, while Matthew seems to put less emphasis on historical accuracy and more emphasis on specific themes. Matthew 13 contains six parables, extensive explanations of two of them, a section where Jesus discusses the concept of the parable, a bit of prophesy about parables, and ends with the reaction of the populace to his telling of them. In effect, Matthew 13 is an essay on the Parables of Jesus. We do not necessarily have to believe that Christ said everything in the chapter while he was sitting in a boat (although He might have), because Luke gives us a different sequence, and the accurate presentation of sequence seems to be a more important aim of Luke. This is one reason we have four gospels, instead of only one. The different styles of the authors afford us a different point of view. We might read Luke to get more of a sense of the life of Jesus, and read Matthew to get a more topical presentation of Jesus' teachings. When we study topics, we do not concern ourselves with when Christ said these words, or where He was, or whether He was sitting or standing. We concentrate entirely on what He said and meant. Since Jesus himself explains the parable later in the chapter, we will defer discussion of the meaning of the parable of the sower until then. 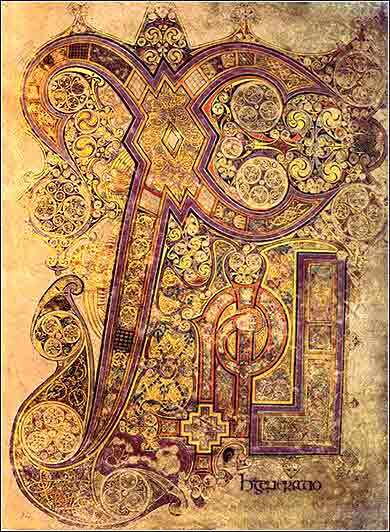 Chi Rho (XP) from the Book of Kells, created in an Irish monastery around 800 A.D. Chi Rho is the first two letters of the Greek word for Christ, “Christos” (Χριστός, the “Χ” being Greek capital Chi and the “ρ” being Greek lowercase Rho) and became a symbol of his name. The X and P are artistically combined into a single letter.